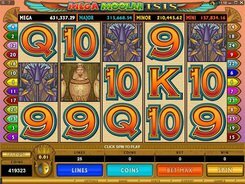 Mega Moolah Isis is a 5-reel 20-payline progressive slot connected to the Mega Moolah jackpot network. 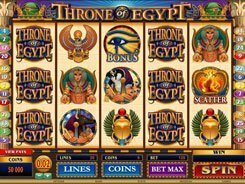 Having an Ancient Egyptian theme, the slot features the Eye of Horus, Sarcophagus, Isis, and other imagery associated with the Egyptian mythology. 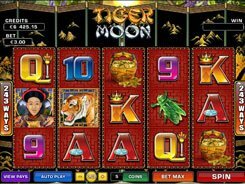 A player can bet anywhere in the range of $0.01 and $10. 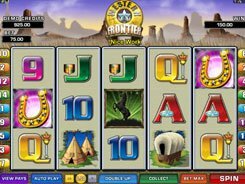 The wild symbols in the slot pay out the fixed jackpot of $5000. Another lucrative symbol is the scatter that triggers 20, 25 or 30 free games. But a progressive jackpot is probably the most exciting feature in the game. 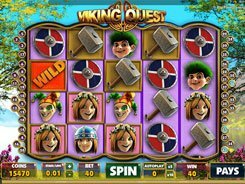 Low rollers can be happy, since making the max bet is not a qualifying requirement for hitting the jackpot. 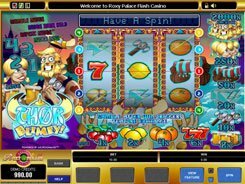 Actually, Mega Moolah comprises four jackpots in one: Mega, Major, Minor and Mini, each starting at different seed values. A bonus game where you can win one of the four guaranteed progressives is awarded completely at random, but the higher your bet, the more likely the bonus game will trigger. If you stand lucky enough, you can become an instant millionaire every time you make a spin in Mega Moolah Isis. PLAY FOR REAL MONEY!